Colorado is an example of a vertically integrated market. In 2010, Colorado became the first in the nation to pass statewide shared renewables legislation, the Community Solar Gardens Act. Five years later, Colorado expanded the program further with HB 15-1284. 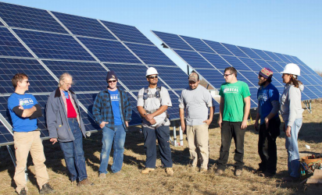 The Community Solar Gardens Act included direction on a number of design elements that make shared renewables work for utilities, developers and consumers alike. It also included important language that enabled policymakers to establish targeted policies for low-income customer adoption. 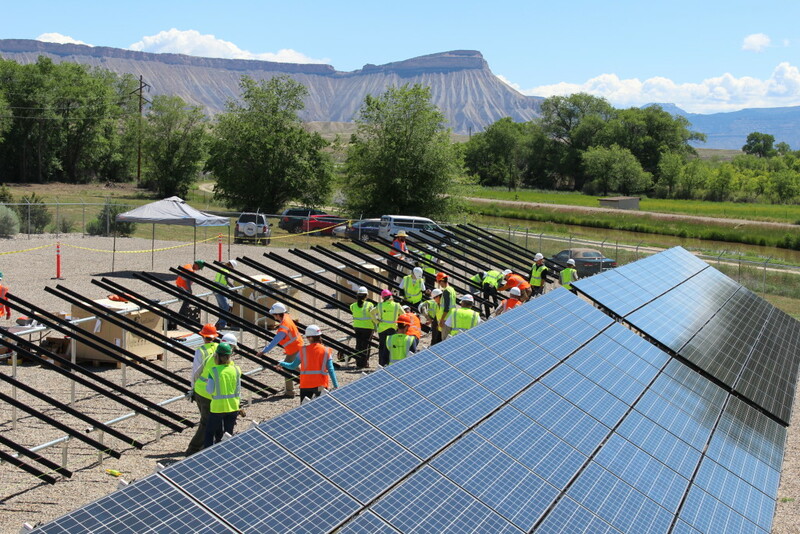 Colorado defines solar gardens as projects between 10 kilowatts (kW) and two megawatts (MW) in size located in or near the same community as the customers being served. These shared solar systems should serve at least 10 subscribing customers. The owner of the system can be either the utility or a third-party operator that contracts with the utility for the solar power production, creating diverse opportunities for market participation. Care was taken to make sure that all of these new megawatts of local solar power add to rather than detract from the state’s other successful clean energy policies like net metering. Community solar garden subscribers receive full retail credit for their portion of the power produced, minus a reasonable charge to cover the utility’s costs of delivering the electricity from the garden to the customer. Similar to net metering, this bill credit can be carried forward if it exceeds the customer’s electricity use in any given billing period. To comply with language in the statute, the rulemaking provided for five percent of new shared solar projects to be reserved for low-income customers. 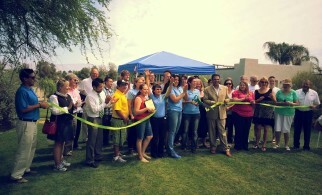 This resulted in partnerships like the one between developer Clean Energy Collective and the Denver Housing Authority (DHA), in which a portion of the power produced by three shared solar facilities is dedicated to offsetting the electricity bills for approximately 35 families living in DHA facilities. The arrangement is expected to save participants hundreds of thousands of dollars over twenty years. 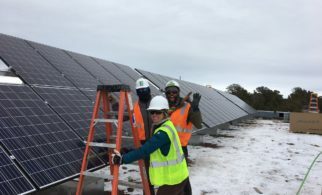 However, the five percent low-income minimum participation level for community solar projects in Xcel Energy’s service territory in Colorado, though successful in meeting the target, functioned as a ceiling to low-income participation. The bid process to secure placement in the program resulted in a highly competitive program, and thus, very thin margins for developers and financiers. The low-income carve-out further eroded these margins, making it extremely unattractive to exceed the mandatory five percent amount; in practice, due to the way the program was structured, no developers exceed this requirement and effectively “wrote off” low-income participants as another program cost. Developers did not have access to incentives to support higher low-income participation. Developers also realized that there are significant upfront administrative burdens to securing low-income subscribers, including taking the time to educate, build trust, explain the benefits, and be able to resolve communication challenges with multilingual households. Colorado has since adopted additional policies to support low-income community solar participation, including a program approach developed by the Colorado Energy Office, detailed below. 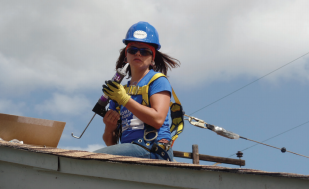 In 2015, the Colorado Energy Office (CEO) launched a low-income community solar demonstration project designed to demonstrate the viability of community solar models that serve low-income households, and reduce energy burden for low-income customers as a complement to the CEO statewide weatherization program. GRID Alternatives received a $1.2 million CEO grant in August 2015 to develop and implement a portfolio of projects in partnership with rural utilities. 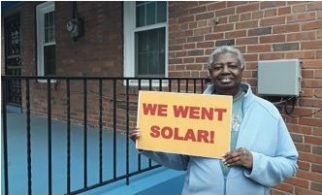 The demonstration included eight projects totaling over one megawatt of installed solar capacity to serve 380 low-income families. The CEO investment was leveraged with utility investment for each project, at a ratio of two dollars for each dollar of CEO grant funding invested. In-kind contributions were also included in the leveraged ratio. While the details varied project by project, each project resulted in significant savings to low-income subscribers. 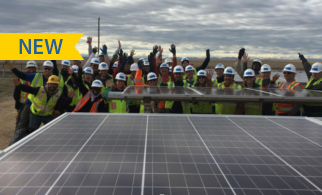 The community solar installations also provided an estimated 2,000 hours of hands-on solar job training to local workers. The CEO compiled an in-depth insights report evaluating the demonstration project as a whole, available here. In November 2016, Colorado took another step to advance low-income solar policy, through PUC approval of a settlement agreement for Xcel Energy that includes one of the most comprehensive low-income solar programs in the country. Colorado, like many states, has adopted a rider on Investor Owned Utility ratepayers’ bills to pay for costs and customer programs associated with meeting the state’s Renewable Energy Standard, called the Renewable Energy Standard Adjustment, or RESA. The RESA is a 2% rider on all ratepayers’ bills. While low-income customers have paid an estimated $71 million into this account to date, stakeholders in this proceeding recognized that these customers had not had the same access to direct benefits of RESA investments, as other customers with higher income levels, as well as commercial customers. Through the global settlement, stakeholders worked to address this equity issue by developing comprehensive new low-income solar programs. Over the three-year agreement period from 2017-19, low-income Xcel customers will have access to up to 20 MW of new solar capacity, including 13.5 MW of dedicated community solar; up to 5.25 MW of additional utility-offered low-income community solar; and up to 1.05 MW of rooftop solar systems. 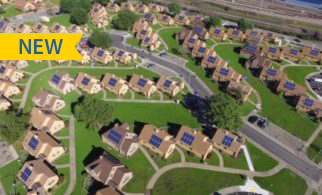 The dedicated community solar capacity is available through an RFP process, awarding production-based incentives for projects that include low-income customers and affordable housing providers, including properties and buildings with low-income tenants. The RFP also incorporates benefits to low-income customers in the evaluation process, including bill savings, coordination with energy efficiency measures, and job training. Importantly, these programs include dedicated program design, implementation, funding streams and incentives (through the RESA account) to ensure that low-income participation targets can be met and participating customers will benefit significantly. Click here for a full summary of low-income solar provisions in the settlement. Additionally, Colorado IOU utilities Black Hills and Xcel Energy both consider low-income participation in projects when evaluating bids and awarding incentives for project RECs through competitive solicitations, an innovative, market-based measure to encourage low-income customer participation. Colorado provides a fantastic example of adapting to lessons learned and adopting and designing programs to expand low-income access to solar. These low-income solar investments will reach around 5,000 families and include auxiliary provisions like workforce training for residents. Accessibility and Affordability. The CEO demonstration project has no up-front investment costs for subscribers and are guaranteed to provide a substantive reduction in energy bills. Each subscriber greatly benefited from the program and saved 15 to 50 percent on his or her electricity bills. Community Engagement. The CEO demonstration project included workforce development opportunities and community engagement, including subscriber participation and sweat equity, in the construction and kickoff of the projects. Consumer Protection. Because there are no costs to participate, subscribers have no financial liability stemming from their participation, and are guaranteed a reduction in electricity bills. Sustainability and Flexibility. 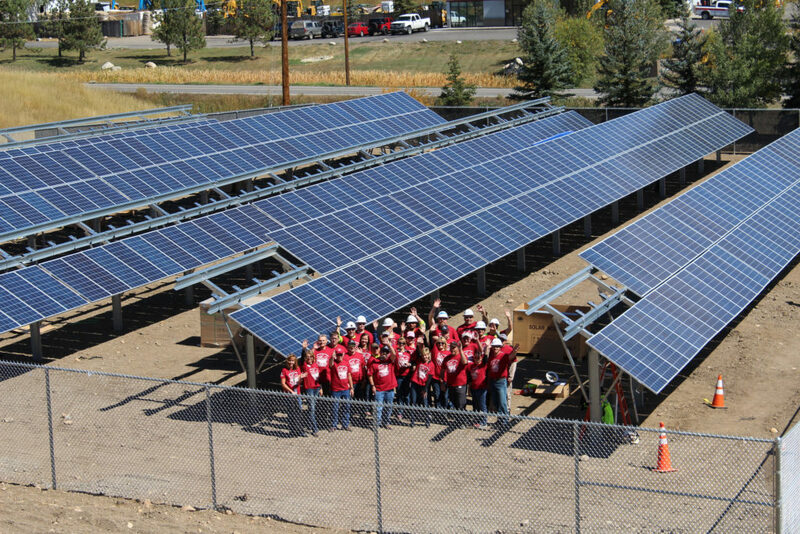 Colorado learned from its initial 5 percent carve out program requirement and has since built on this policy leadership to offer additional community solar programs and incentives for low-income customers. The CEO demonstration project was designed to help reduce energy burden for over 300 low-income households and better understand how utility and project structures affect the ability to make low-income community solar beneficial for both utilities and low-income subscribers. CEO’s demonstration project shows the feasibility of building a low-income community solar model that can be repeated throughout the United States, reducing the energy burden for all low-income households. Compatibility and Integration. The CEO demonstration project was designed to complement its statewide weatherization programs, which have been administered by the CEO for 40 years. Weatherization addresses household costs from natural gas or propane, and community solar addresses electricity costs.